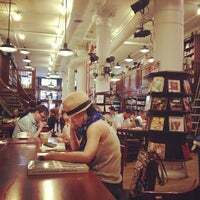 Smell of old books, the balcony, people writing books and plays, a very diverse selection, a bustling café, a good cause—New York, this is your bookstore. 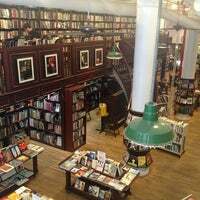 This place is my happy save haven in Manhattan! The staff is INCREDIBLY nice, the proceeds go to charity, and you can find books for 50 cents! I COULD LIVE HERE. I LOVE IT. 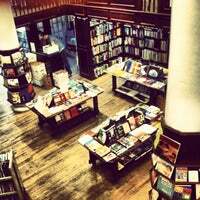 Local nonprofit bookstore cafe. Employees are volunteers & avid booklovers. 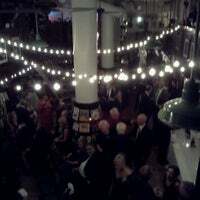 Cafe hosts lectures, book clubs & is a popular venue for weddings. And there's always a basket of free condoms at checkout. 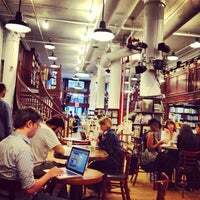 With real estate prices so high, most coffee shops don't even have space to sit. 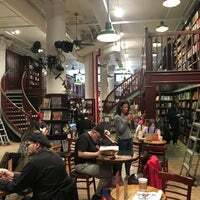 Here's a great, old school bookstore with a tiny cafe and ample seating. Great to meet up or do a little work. 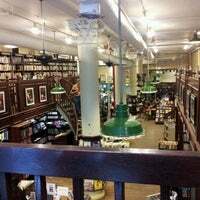 One of the best used bookstores in NYC, and an all around comfortable, inviting space. The selection is usually on par with a "new" bookstore. Such a cozy and peaceful place. It’s more like a library with some drink options where you can work/study as they have wifi, or read books. The coffee is cheap and the upper level setting (if you can snag it) is cozy and quiet. Plus, post study time, treat yourself to some cool thrifty finds next door at the Housing Work Thrift Store. Come here for the eclectic selection of used books and relax in the back café with a delicious selection of teas, coffee and snacks. 100% of the profits go to ending AIDS and homelessness. This place is all about books and caffeine!! Lovely spot in SoHo. You can sit down and finish reading a book and nobody is gonna bother you! Perfect spot, if you wanna get some me time for yourself. Great place to spend an afternoon! Awesome used book collection, pretty good coffee, places to sit, and all proceeds go to a worthy cause! This place has lots of big tables and no-hassle WiFi. Good spot to quickly meet a friend or do some work. They have books too! Surprisingly, they serve a good and strong soy latte here for around $4. Deep, intense taste. Double roasted perhaps? Served in a pretty small tea cup and saucer. Get to browse used books too! 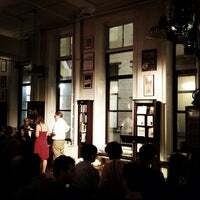 They have consistently good coffee, and are always hosting amazing events and speakers, such as David Sedaris on 6/3. Get here early for big events though, the line stretches down the block. Great events most every night of the week. Catch an up-and-coming author book party or strike up a conversation with a HW volunteer. 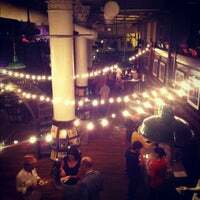 A great place to get a local taste of NYC. In SoHo, and cheap? Crazy. Check out the cheap used book carts. The bookstore can be busy, but it stays fairly calm. Staff are also very fun. Volunteer run! Love the cafe, great place to relax and study or discover the great selection of donated books. Cozy like an old library feel that is inviting. 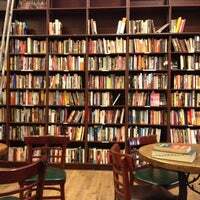 Cozy place with good collection of books on various topics. They have live book discussion every week or so. 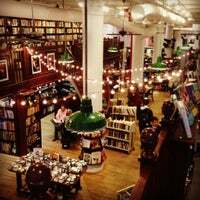 A kinda-hidden gem of SoHo tucked away on a cobblestoned backstreet, a great bookstore with some must-try chai. So good, it just had to rhyme. Charmante bibliothèque / librairie / café idéal pour étudier où se détendre. Nice, quiet place to work. Wifi is great, but make sure you have a full battery charge on laptop: no outlets available. While you are there, buy a book for a great cause! Coffee, books, and a good cause? Yes! 100% of their proceeds go to Housing Works: a healing community dedicated to helping those affected by or living with HIV/AIDS. Great spot for studying or working, but just FYI you can't charge your phone or laptop here. They turned off the outlets to cut down on the electric bill! 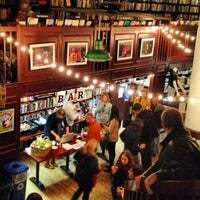 Awesome free literary and music events every week. The Moth Storyslam is excellent. Check their site for details. If you have spare time, sign up to volunteer! Need to escape Soho's shopaholics? 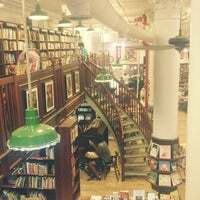 Order a coffee and take some time out in this spacious yet cozy bookstore, all for a good cause! Good spot to work with decent wifi but no outlets available for customer use, which is a bummer. Great place overall but make sure your devices are charged! Great place to get some work done while enjoying good music, sipping on a coffee. Warning: no outlets available for your laptop. Iced mocha is delicious. In the last few months, it's made in a new way that makes the chocolate taste much stronger. Definitely a plus. Feel good buying here b/c of the cause. Beautiful dark wood shelves and lots of cheap hidden gems in the books. Open up the covers and find that several are signed copies. Plus they host the Moth! If live in NYC, this place would be one of my favorite. Friendly staff, good atmosphere, great area. The coffee was average. Free wifi, cheap coffee, good sandwiches and chill vibes. 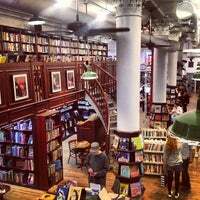 An oasis off busy Houston st.
Vintage books, coffee and SoHo atmosphere. What more can you ask for? Nice and cheap coffee for a good reason, free wifi, plenty of books to read and quiet atmosphere! Beautiful place, but during colder months all the tables are taken & the scene is extra crunchy. Warmer months? Blissfully quiet & fewer lonely hearts. A great spot for a coffee/tea and use of their free wifi (plus all proceeds go towards ending AIDS and homelessness). Steps away from SoHo shopping as well. 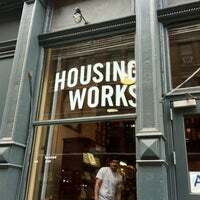 Housing Works Bookstore Cafe is a nonprofit bookstore, cafe, and event space. All proceeds from every show you attend and everything you buy, down to a record and a PBR, go directly to our mission of fighting AIDS and homelessness. "Loved the avocado & goat cheese sandwich! The celery was a little surprising but gave it a nice crunch. Sweet potato fries were delicious." "Wine in the garden after work was lovely, until the "whoa"... closed at 8:30 p.m. It's a coffee place after all. A lovely garden and great coffee!" 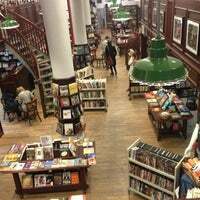 "lovely book store including a machine that prints personal books. Right in the shop you'll find a lovely cafe that keeps you caffeinated for reading through your newly shopped treasures"
"Happy hour till 8 - $4 drafts and a great beer selection." "Great little shop. I always find something cool. Prices aren't the cheapest but the money goes to a good cause. They weed through the junk that most thrift stores get which leaves you with nice items."